The present work aims to produce silicon carbide (SiC) particles-reinforced AA5083 surface composites through friction stir processing (FSP). The influence of SiC content on the microstructure and tribological properties of the friction stir-processed (FSPed) AA5083/SiC surface composites was investigated. The results reveal that the distribution of SiC particles within the stirred zone was homogeneous, irrespective of location, and SiC particle volume fraction. Good SiC/AA5083 interfacial bonding was obtained for all surface composites with refined grains. Electron backscattered diffraction results revealed that the stir zones comprised dynamically recrystallized, fine-grained, and equiaxed microstructures. Transmission electron microscopy revealed that dislocations rearranged to form high-angle grain boundaries upon dynamic recrystallization. The worn surface showed that an increase in SiC volume fraction transforms the wear from severe plowing, and delamination to light abrasive wear. The surface composites showed a substantial decrease in wear rate with an increase in SiC volume fraction due to the homogeneous distribution of SiC particles, grain refinement, and improved hardness. The wear debris of AA5083 alloy showed large flakes as a sign of severe plastic deformation whereas, surface composite samples comprised of fine wear debris. Manuscript submitted August 9, 2018. The author Vikram Kumar S. Jain, acknowledges Department of Science & Technology, Govt. of India for sponsoring him to pursue Ph.D. under INSPIRE Fellowship (DST/INSPIRE Fellowship/2015/IF150488). 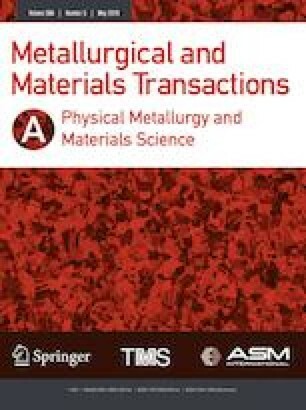 The authors acknowledge the use of National Facility of Texture & OIM, IIT Bombay for EBSD studies. The authors thank Dr. Devinder Yadav, Assistant professor, IIT Patna for useful discussion of the manuscript. The authors also acknowledge Dr. Satish V Kailas, Professor, IISc Bengaluru, for providing access to 3D surface profilometer facility.